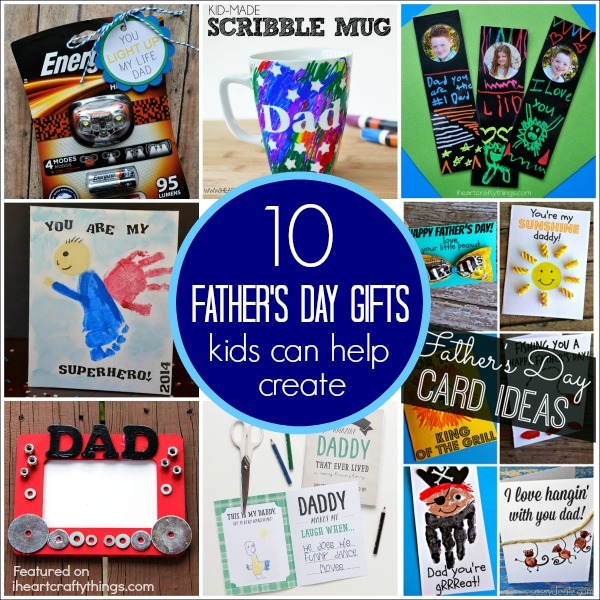 Father’s Day will be here in a few short weeks so it’s the perfect time to get your children involved in creating a fun Father’s Day Gift for the special hero in their life. 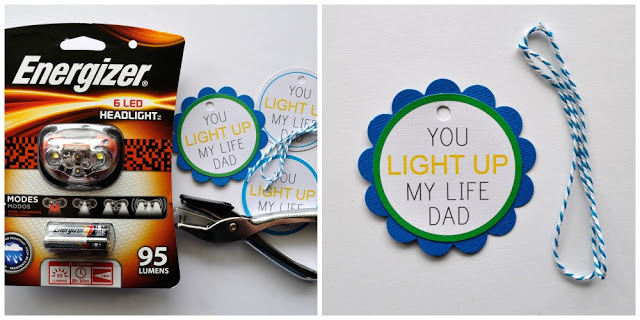 Every year my kids enjoy creating handmade cards for their Dad and we love putting together a simple, practical gift for him. 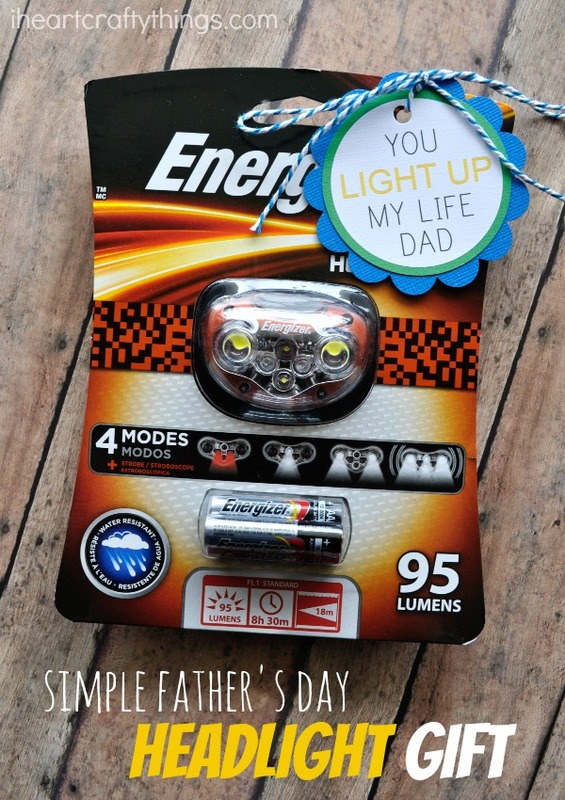 Today I’m excited to share with you my favorite Top 10 Father’s Day Gifts Kids can help Create which includes our fun Energizer Headlight Gift that we are giving to our Dad this year. My husband has several hobbies that involve working with small pieces. I like to call him my Tinker Guy. If it needs fixing and it’s fixable, my husband can surely fix it! Over the last several years he has enjoyed everything from fixing old coo-coo clocks to setting up model trains. At least once a week he will summon one of our children or me to come hold a flashlight for him for extra light. 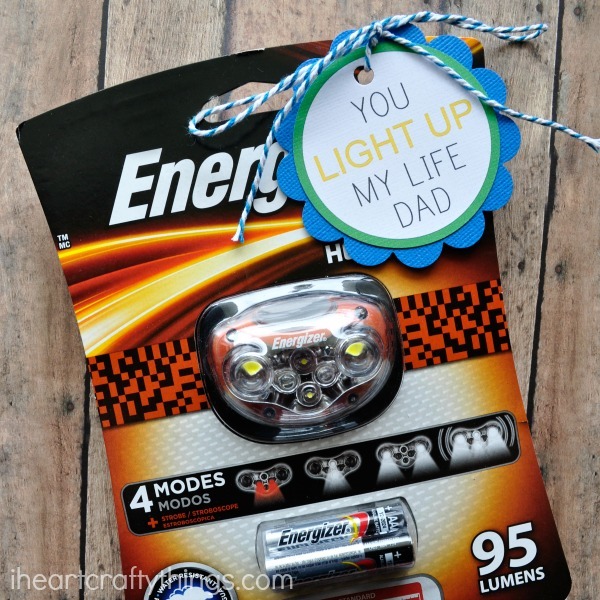 When I saw the new Energizer Headlight at my local Target, I purchased it with a $4 off coupon and I knew it was the perfect, practical gift for Dad! I love how it’s a hands-free tool that makes Dad’s life a little easier when he’s working on all of his projects and hobbies. I’ve made a printable gift tag for you to make the gift even more simple to put together! 1. Print off the You Light Up My Life Dad Printable Gift Tag and cut it out with your 2 1/2-inch circle punch. If you’d like to, cut out a scallop circle shape on colored cardstock paper and glue it behind the gift tag as a background color. 2. Punch a hole in your gift tag and the Energizer Headlight packaging and tie the gift tag onto your headlight. Now it’s all ready to give to Dad on his special day! 1. Kids will love getting artsy while creating this Kid-Made Scribble Mug and Dad will feel special every morning while drinking his cup of coffee. 2. 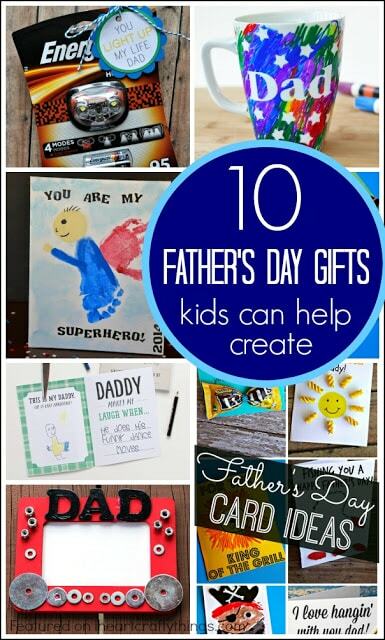 Personalize a special art canvas for Dad using your handprint and footprint. No doubt he will feel like a superhero when he opens up this gift on Father’s Day. 3. See what it’s like to walk in Daddy’s boots with a custom photo shoot all for Dad. Pair the pictures with this adorable Walk in Your Shoes printable that will make Daddy smile from ear to ear. 4. 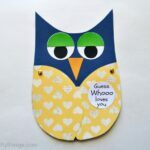 Download this free printable Father’s Day Book for your children to personalize for their special Dad. It’s a keepsake Dad will surely treasure forever! 5. 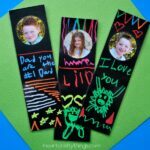 Create a personalized DIY Bookmark for Father’s Day with your picture on it and Dad’s heart will melt every time he opens up his book. 6. Use some of Dad’s extra nuts and bolts to create him a custom Chess Game. Dad will love having a partner to play with and it will create priceless memories for the two of you. 7. Create a custom DIY Father’s Day photo frame with a special pattern of nuts and washers on it. Include a picture inside of your favorite memory with Dad and he will smile at it every time he walks by. 8. My kids love creating a handmade card for their Dad every year. 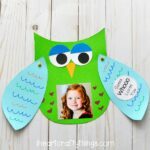 Here are over 20 creative Father’s Day Card Ideas that your kids will love creating and will make Dad feel like a million bucks on Father’s Day. 9. Since Father’s Day is such a special day, make Dad a Father’s Day Gift Bag with his favorite treats inside and let him keep them all to himself (for once!). 10. 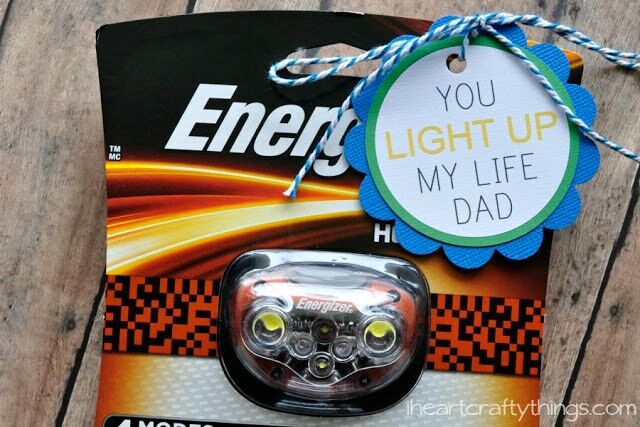 Let your Dad know he is a Light in Your Life with this practical Energizer Headlight Gift. It’s a perfect hands-free tool to help make Dad’s life a little bit easier. Check out more creative ways to use the Energizer Headlight! How will your Dad use his new headlight first?